OSLO: The Abel Prize in mathematics was on Tuesday awarded to Karen Uhlenbeck of the United States for her work on partial differential equations, the first woman to win the award, the Norwegian Academy of Science and Letters said, reports AFP. 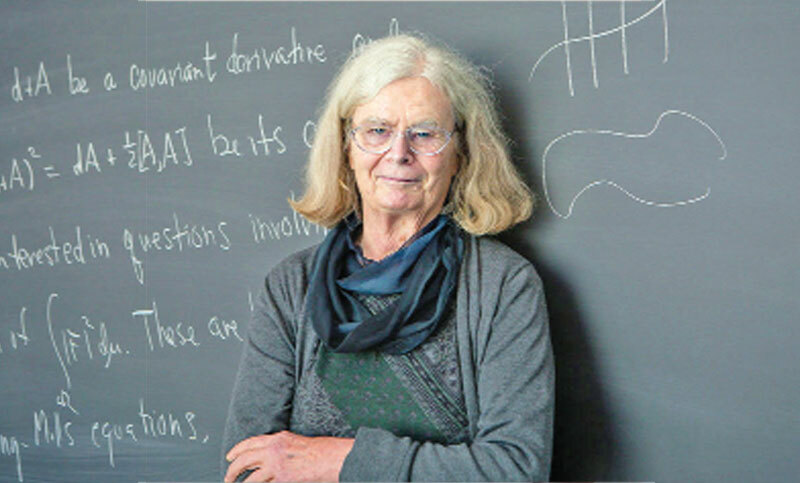 “Karen Uhlenbeck receives the Abel Prize 2019 for her fundamental work in geometric analysis and gauge theory, which has dramatically changed the mathematical landscape,” said Abel Committee chairman Hans Munthe-Kaas in a statement. “Her theories have revolutionised our understanding of minimal surfaces, such as those formed by soap bubbles, and more general minimization problems in higher dimensions,” he said. The Cleveland native “developed tools and methods in global analysis, which are now in the toolbox of every geometer and analyst,” the Academy said.